ATTENTION: Lots of downloads :) Glad everyone enjoyed the song. 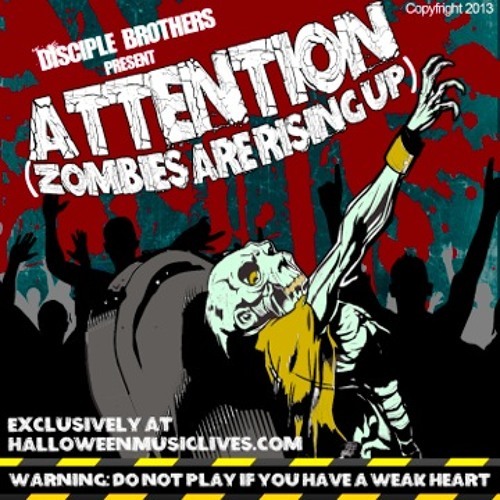 All good things come to an end and now "ATTENTION Zombies Are rising up" will be available on itunes and amazon. DJ's: Always free for my Brother & Sista DeeJays :) Just email us at www.halloweenmusiclives.com SHARE US and help the Virus spread !! Attention the Zombies are rising up is a virus that will spread, no stopping it. The only protection you have is to wear ear protection. If you like to groove and dance especially on halloween this is for you. Play this on BIG speakers !! The low end is MASSIVE !! Play this on BIG speakers and look out !!! The bridge will blow your mind.